Home - About OMRF - Jobs at OMRF - Why OKC? 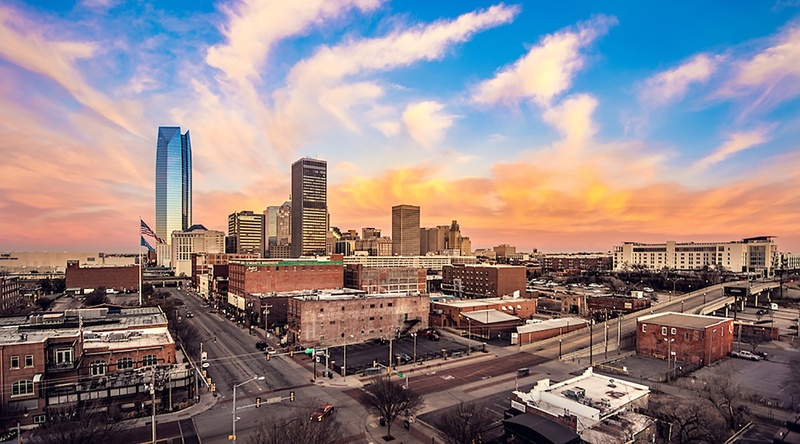 As our state’s capital and largest city, Oklahoma City offers everything you’d ever want in a modern metropolitan community without high costs, energy shortages, smog or traffic congestion. Ranked number one in cost of living and household income growth, OKC is also one of the most livable cities in the U.S.
From the mirrored skyscrapers in our bustling downtown to miles of wide-open spaces, Oklahoma provides a wide range of activities and events for families and singles alike. Arts festivals. Live music. Museums. Cultural and sporting events. Nightlife. We have it all. Whether your perfect night out includes watching the ballet, sipping a craft beer on a patio or cheering on the OKC Thunder, our NBA basketball team, you’ll find what you’re looking for in Oklahoma City. Explore more about our spirited, renaissance city with the OKC Chamber.